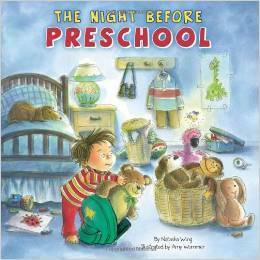 It's the night before preschool, and a little boy is so nervous he can't fall asleep. The friends he makes the next day at school give him a reason not to sleep the next night, either: he's too excited about going back! 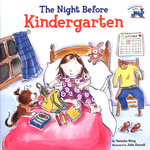 The book's simple rhyming text and sweet illustrations will soothe any child's fears about the first day of school. Comes in paperback, board book and hardback.